This article explains the different types of conductors, their function, and delves into the way they conduct. It explores how and why they work, what material they are made of, and what could be their future applications. It also discusses the quantum aspects of conduction, which is explained through a classical point of view. Further, it illustrates how electrons affect conduction of thermal energy and electricity. There is also a discussion on comparisons of various theories of conductors, including a reason on why we need such a wide variety of conductors. Conductors have been essential for as long as man wished to create machinery. They transport electricity, which has become vital in machinery. They conduct heat, some better than others, to create heat protection or handle heat depending on demand and usage. However, throughout the decades, conductivity has been greatly explored yet poorly explained in much detail. We are only recently understanding how materials conduct through quantum mechanics, which is giving us much more insight than what classical mechanics ever did, defining why superconductors behave in the way they do. That is not to say that classical physics has not done much in explaining conduction. We understand most concepts about conduction in metals and non-metals through classical physics, with key theories like the “free electron theory” to Ohm’s laws about resistivity. Yet they failed to accurately calculate the correct resistivity values of a material above certain temperatures, and didn’t account for the true properties of electrons. To understand conduction further though, it takes a quantum physics perspective to understand the true reason why electrons behave the way they do, like the ‘electron wave’ concept. The amount of conducting material available for industrial, commercial and scientific purposes is incredible, ranging from materials which conduct almost without imperfections to materials meant to conduct poorly, like ceramic or aerogel. For the most part, conductors are elements. Materials that aren’t elements have additives, such as other elements. This, crudely put, creates impurities which change the electronic configuration too much for a perfect ‘wave’ to occur. However, that is not always the case. The most commercially available conductor is copper for the wide scale, followed by silver on the micro scale; like circuit boards, since it is rarer on the Earth’s crust therefore making it expensive. Although you could use anything from group eleven on the periodic table since they have the necessary properties, but often price inflicts the heaviest burden, as well as gold being ‘heavier’ than silver and copper, making its conduction abilities reduced in comparison, but nonetheless still extremely good. Gold, a native metal, only replaces silver in environments where otherwise oxidation or chemical reactions are likely to occur, which would reduce its electrical resistance level. However the question which springs to mind is why are these group eleven elements so good? It can all be explained by the fact that the conduction of heat is proportional to the conduction of electricity, which is explained in Ohm’s law. What Ohm explains is that the conductivity of a material; usually a metal, is due to the electron configuration. Take for example silver. Silver has an electron configuration of (2,8,18,18,1). Shells K through to shell N (the inner and penultimate shells),, aren’t important for the purpose of conduction. What is important is the O shell, which is the outer shell. The importance of silver’s O shell is the number of electrons, one; a single solitary electron. This means it’s a free electron which does not have nuclear competition with any other electrons nearby, and it is free to float around. It is in fact called a ‘free’ or ‘delocalised’ electron. For example, if you pass an electric current through a silver structure at room temperature, the electrons passing through each atom will either pass by or go into the O shell, causing a nuclear disturbance because the overall charge has changed and the positively charged protons can no longer sustain the entire structure, causing either of the outer electrons to eject, or for the electron to keep on a straight path normally. This means that electricity at one end of the silver structure will cause electrons to constantly flow and bump each other, until electricity is passed on to the opposite end of the structure. The more shells are hit in the process, the higher the resistance becomes, and the more current it takes to get electrons at the other end. This reduces the overall efficiency. It’s hard to imagine how electrons, particles so small relative to everything else in the atom, are so likely to hit each other rather than go into empty space, and how electron movement can accredit for heat transfer as well. That’s explainable with the concept of ‘electron waves’. You could argue that the electron flow is uniquely related to electrical conduction and cannot also be applied to thermal conduction, however that is wrong. The difference between electrical and thermal conduction is only marginal, involving only semantics. Heat is simply the speed at which this process takes place at. Of course, no electricity is being produced because none is being introduced. 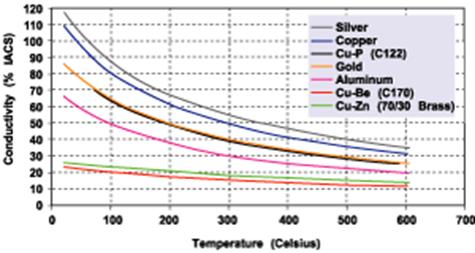 The example about silver was at room temperature, which is relatively warm in practice, since 21°C (about room temperature) is in reality 284.15° above the absolute zero temperature. But in reality, it is not a high temperature, as silver conducts very well creating only minor resistance in the process. However, heat does create ‘electron waves’ under normal circumstances. What is meant by this is that there are constant waves crashing into each other. Now, these ‘waves’ constantly overlap and hit each other. This destroys any steady movement of electrons movement and causes the slowdown of anything else. The creation of these waves can be accredited to the fact that thermal energy ‘moves’ the atoms in a fashion which with a current cause a shift in direction of the random movement of the electrons to a more wave like approach. Heat is generally created when atoms mainly in the inner part (the nucleus), vibrate, and more heat means more vibration. This organized movement causes the atoms to vibrate more, causing heat. But the questions is, what material can use this concept to be able to conduct electricity and heat the most effectively, and how? Each material has a different shell of electrons, and therefore a different reaction to temperature and electricity, especially if they have more than one electron in their outer shell. This is called resistivity, which is measured in Ohms per meter (Ω/m), and for silver which is such a good conductor, showing a resistivity in the range of micro-Ohms/m. Gold is further down group eleven, and is surprisingly the worst in the group, breaking what seemed to be a pattern. This can be accredited to the fact that gold is much heavier that copper and silver. When you get to a point where atoms are as heavy as gold, about one-hundred atomic masses more than silver, the nuclear force starts to get very confused. The atom cannot maintain cohesion for many more masses. In fact, polonium, only five elements after, already starts to radiate alpha and beta radiation. Bismuth, only four elements after, starts to radiate mild levels of alpha radiation. Alpha radiation is of course a helium nucleus, and beta is high speed electrons or positrons; both can be very dangerous for the body. An Ohm is normally used in electronics to measure the electrical resistance of a circuit board and is regularly changed with the component called ‘resistors’. These basically slow down the flow of electricity by using very bad electrical conductors, whose resistance value was carefully calibrated. They use things such as carbon dust and nickel-chromium alloy wire. The mixtures inside resistors changes depending on the desired resistance force you wish to have, usually containing several poor grade conductors such as unconducive carbon allotropes. In the case of the silicon-doped variants, (containing arsenic, boron, etc…) then they become ’semiconductors’, and are used to build transistors. ‘Semiconductors’ derive their name from their inability to be classed as neither insulators nor conductors. You can, both theoretically and practically, get the perfect material which has a resistance of zero Ohms. This can usually be achieved by using liquid helium to cool the conductor to near absolute zero temperatures, and using some very expensive compounds. These are called superconductors, and are what CERN’s Hadron Collider in Switzerland or other savage atoms smashers use. These superconductors are in two types: Elemental form (Type 1) and compound form (Type 2). There are literally hundreds of compounded superconductors, and many more being researched by various professionals, which have extremely complex arrangements and use materials which are very rare. Each compound becomes superconductive due to unique molecular arrangements, so it’s hard to explain a general pattern. Their main property is all of them allow for minimal penetration from magnetic fields, meaning each ‘core’ or molecule has strong, overlapping magnetic fields, which forces electron flow uniformly. This means that the resistivity is close to none, but only if the conductors does not move, so the temperature must be incredibly low. This creates phenomenons called strips, which are ‘rivers of charge’ across the surface of the material. The magnetic field can be penetrated by another magnet, and since it’s so strong, the superconductor won’t change the shape of its field, so it will float stationary above a magnet. Type 1 are elements that at room temperature conduct relatively badly, like mercury (983.96 nano-Ohm) and lead (193.00 nano-Ohms), but if pure and at extremely cold temperatures, they can exhibit superconductive properties. The downside is, that unlike Type 2 superconductors, they will only work at extremely low temperatures. For example, lead will become a superconductor at 7.193°K, which is far too low to have any practical applications. Furthermore, if you try and use it for electrical conduction, the magnetic field it creates will destroy the zero resistivity. Superconductivity is due to ‘Cooper pair’, also known as the ‘BSC Theory’. This quantum theory states that electrons in a superconductor ‘pair up’, due to the fact that as an electron is attracted to a proton inside a standard atom, the electron pulls the nucleus towards it ever so slightly, increasing the positive charge density of the structure, which in turn attracts more electrons, since opposite charges will attract each other. At relatively long distances, the repulsion between two electrons is nullified due to the displaced ion causing the electrons to, weakly, ‘pair up’. This then means that there needs to be a minimum amount of energy required to excited the material, and that the electrons will not scatter across the structure since they would need energy to do so. However, since the structure is at near zero temperatures where there is barely enough energy, there is hardly any energy loss compared to a room temperature metal where electrons frequently dissipate to thermal energy once meeting an ion. Superconductors relate to this because with a resistance of zero, temperature will flow perfectly. But the higher the temperature, the more disruptions you make, and therefore raise the resistance. On the other hand, we also need to consider other variables when talking about what is the best conductor. Purity, thickness, and the laws of thermodynamics need to be taken into consideration. Every atoms makes a difference, even a very small one. Of course, purity of a compound or metal can hugely affect the conductivity, since, as described before, the waves of electrons will have to alter for the different atoms in a compound, which will alter the path ahead of it. The purer the better, if it’s an element. 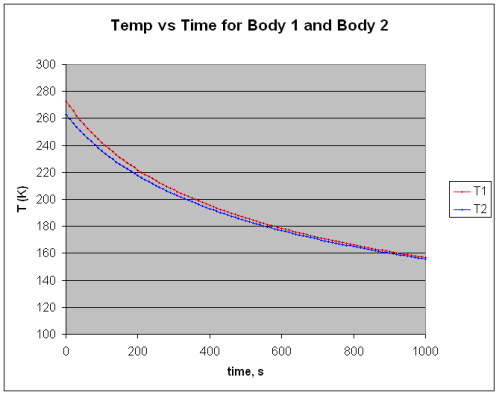 The thickness relates to the second law of thermodynamics. Considering that entropy is the measure of input temperature, then this law of nature means that energy will never ‘pile up’, it will always try to stay at a balance. This can be described as follows: “The second law of thermodynamics states that the entropy of an isolated system not in thermal equilibrium almost always increases”. Considering these ideas, then it’s easy to understand how energy movement occurs, and what’s the best material to optimize conduction, which naturally is diamond. Five times better than copper, the tetrahedral arrangement of the carbon atoms give it a crystal composition, which is not only unmoved by any calculable means with incredible amounts of heat, but will also stay strong even at temperatures reaching plasmas. This is rendered possible by the simplicity of the C-C (carbon atom to carbon atom) arrangement and the strength of carbon bonds. A carbon atom is very small, and placed on the periodic table so that it will bond with itself to form extremely long and complex chain like graphene or shapes like C-60; a molecule shaped like a football. It is fascinating that, although being the best natural conductor of heat, it is not too different from glass and other insulators in conduction of electricity. Although they have the same physical properties, they are so chemically diverse that carbon is used to make life, DNA, food and millions of natural things, while glass, wood and silicon offer limited purpose in nature. This is mostly due to the fact that carbon has an arrangement of atoms which allows any one atom to transmit any vibrations to another four atoms. Considering the sheer number of atoms in any structure of carbon, it’s not hard to understand why it can dissipate so much heat at such a fast rate. 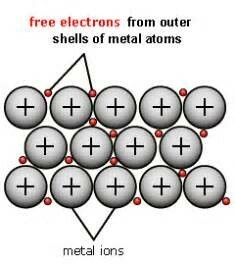 Unlike metals though, it does not conduct because of its electron configuration, a lack of free outer shell electrons. Overall, the sheer amount of conductors available today with the ability of doing so many different things is immense. There is no such thing as ‘the best conductor’, since each conductor best fits a certain category, and it would be inappropriate for another conductor, even if better on paper, to replace it. The best material is copper on the production scale, as it is extremely cheap, and a fairly good conductor. Then comes silver for integrated circuit, far from any chemically reactive compounds as that could lead to oxides forming. If it wasn’t for its rarity and price, then it is likely it would be making a greater appearance in our lives. Then gold, which is used instead of silver for everyday environments where there is likely to be more chemical activity, since gold is a “native” element, which doesn’t stand corrosion. Critical electrical contacts are always plated with gold, as an example. Then comes diamond which has very little use in the industrial world, for again, rarity and difficult synthesization, but on a scientific level it is perfect and admirable. They find their use in situations involving pressure, since its structure is very resistive to force. Then come the superconductors, which are absolutely perfect from an electrical point of view, but require near absolute zero temperatures to manifest their properties. They are currently being developed for uses in new ‘quantum supercomputers’, which use the atoms with either more or less than the normal number of electrons to be able to process data at a much faster rate than normal computers. Superconductors allow electrons to flow and charge the atoms without any loss of electrons. If even a single electron gets lost, it can dramatically alter the calculation, since you change the values you are giving to the computer. 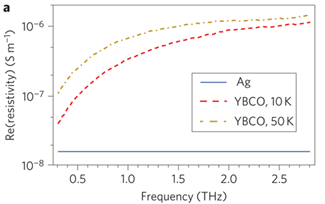 So, you can only use a superconductor, since it has the least resistivity. The problem though is, superconductors have a ‘small’ resistivity, so small it’s usually considered negligible. But that could alter the results of the machine, which is why modern quantum supercomputers have to be cooled to a temperature close to absolute zero. Even then, problems from heat generation and even other minor details like light waves can create some resistivity. To overcome this, calculations are repeated several times. That may seem odd, as doing simple operations like ‘1+1’ may take a ridiculous number of cycles, which don’t all give the right answer. But the speed at which supercomputers operate at means that even repeating one operation countless times is faster than even once with a classical computer. Currently, the complications about quantum supercomputers are mostly about how the interface, since the methods of looking at such small particles usually destroys the state they are in. There are also problems about how to make them more powerful and how to code software for them, since algorithms to calculate the value of pi or other mathematical equations will have to be redesigned.  These problems will likely fade when more funding has been dedicated towards research and development, which isn’t being done at the moment mainly because too little is known about how they work, and few investors wish to take the risk. If progress is to be made in quantum supercomputing, which seem to be the only technology requiring conductors this advanced, then superconductors need to be developed to a suitable level, so that they can work to more suitable and realistic temperature ranges. This would enable quantum supercomputer to work at room temperature or close to it. It will also encourage more research and development, causing this technology to be cheaper and encouraging more innovation by the masses.. 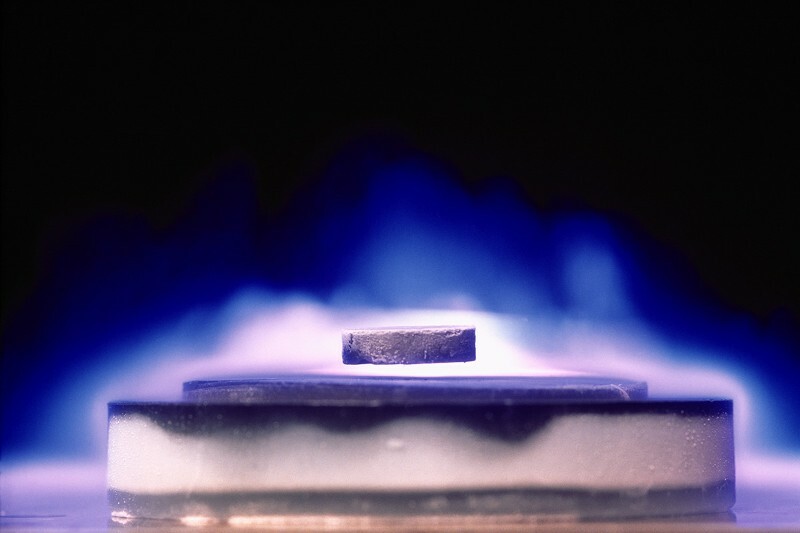 Unfortunately, the nature of superconductors doesn’t allow them to work at a normal temperature range. To create one that would work at room temperature would surely be the breakthrough of the century, and very likely lead to much more than just another computer revolution. There would be medical innovation in MRI, motors the size of a hand able to drive trains, and magnetic shielding for space and astronauts, protecting them from all of the danger of space. ⟵How does one mistake lead to another?